You could call or email that special someone, but why not put your feelings into flowers? 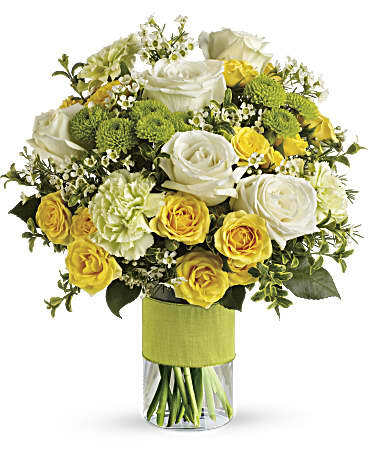 She''ll love this elegant array of white and yellow roses and other favorites in a stylish cylinder vase. She''ll want to thank you in person. Delivered in a glass cylinder vase.